Does Social Media prospecting and recruiting seem like Mission Impossible in 2019? After all, you’re trying to get yourself out there but your posts aren’t getting enough engagement… Is it the Facebook algorithm? Sure, it might be. We now know that Facebook is spacing out the visibility of your posts, so it can take anywhere between 24 to 72 hours for people to see your content. But the fact of the matter is, if you’re doing Social Media prospecting the right way, the algorithm will become your best friend! Do you want to find out exactly what you should be doing in order to crush it? 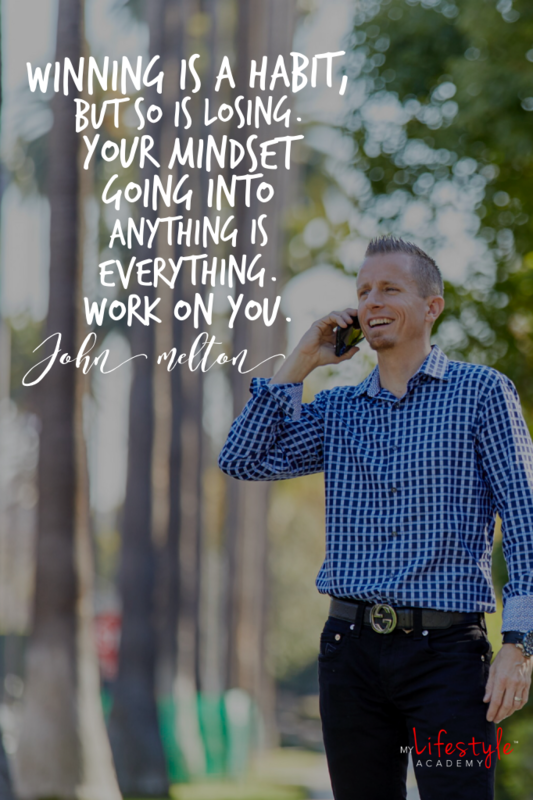 Then tune into today’s training because John will do a deep dive into what makes some network marketers gain traction on Social Media seemingly overnight, and what the best practices are! Let’s get right to it! How big is your team? And how much volume do they bring in? Imagine if they all did $1,000 in sales a month. And what if the size of your team doubled or tripled? How about if you managed to 10X it? Yes! It’s all possible! And it can all happened without three-way calls, home parties or meeting presentations! How? By using Social Media the right way! Here are our 5 Best Tips to Social Media Prospecting in 2019! 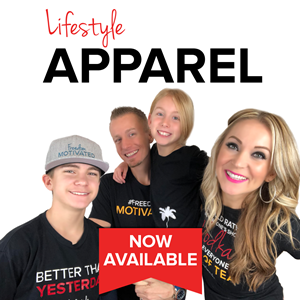 Did you know you already have a brand? Yes, if you’re communicating with people online and you have any virtual presence, that means you already have a brand. And now the question is: how effective is it? This is the main reason why in 2013, we decided to start pouring into trainings, courses, and seminars and figure out exactly how to position our brand online. Because the truth is, we were tired of always proactively prospecting and recruiting people. Sure, it can be fun for a while and it’s definitely great to do it every now and then (especially when you’re just starting out). But at some point we became exhausted! We wanted for people to start coming to us! And that’s where our brand came into play! So start testing things out and gain clarity about the message you want to put out into the world! Do you need some help with that? 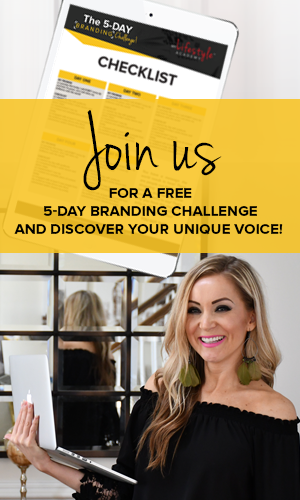 Check out our free 5-Day Branding Challenge >>> RIGHT HERE! Have you ever gotten to the point where you no longer have people in your “warm” market to reach out to? There’s no way around it. Whether you’re building your business off or online, you need to create a relationship with your prospects! The more you get to know people, the more people will trust you. And people do business with people they know, like and trust! 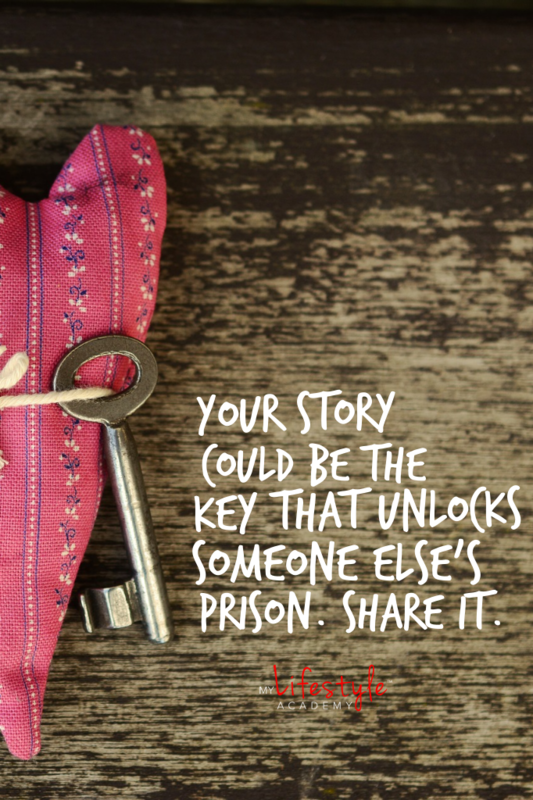 So go out there and start talking to your leads! Can people figure out what company you’re representing within minutes of landing on your Personal Profile? If the answer is “yes”, then you need to change it! Here’s the deal: if people know the name of your company, you’re closing the loop. They can simply Google it, and if they like what they see, they can order directly from the company. That’s not what we want. We want for people to reach out to YOU! That’s why it’s so important to create curiosity rather than raising resistance! 80% of your content should provide generic value. 20% of your content should be a nonchalant promotion of your product or business. That way, people will get curious about what it is that you do, and they’ll start reaching out to YOU! How amazing is that?! We know, we know. This is easier said than done. But the truth is if you already have a brand, if you’re already building relationships, and if you’re already using Attraction Marketing, building a community will happen naturally! 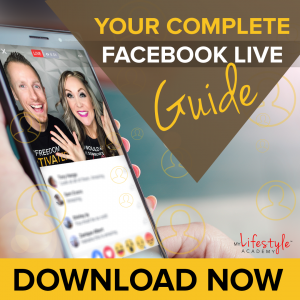 One of the easiest and best ways to do that is to add people to a specific Facebook Group where you can make sure you offer exclusive value just for them! There, people can interact with each other and do some of the work for you! So why not let all the testimonials and all the Before and Afters do the selling for you? That’s why it’s so crucial to have an amazing system in place! We love using the ATM strategy because it works! You can’t make people work unless they want to. The truth is, many people don’t start right away because the timing might be off for them. And success doesn’t happen overnight. In the first couple of years in network marketing, we were spending more money than we were bringing in. It took some time but eventually, we cracked 6 and then 7 figures. So be patient and the results will come! Ninja Tip: What you speak about, you bring about! Always be mindful of the way you speak! If you keep saying that your team is no good, that’s what your team will be. So bring positivity into the way you talk, and you’ll start noticing the change. We promise you! 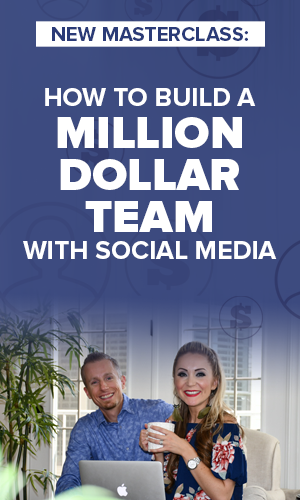 We teach average people create an above average income on Social Media. PS: Get Ready to Seriously Crush It Online! 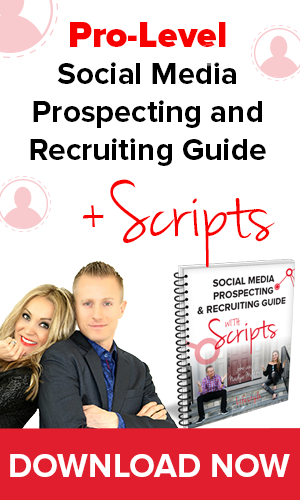 Click Here to Download our Brand New Social Media Recruiting Guide and Get Our Inside Secrets to Social Media Prospecting AND Peek Behind the Curtain at the Exact Scripts We’ve Used to Recruit Thousands. If you enjoyed the video My 5 Best Social Media Prospecting Tips (Network Marketing Made Easy) be sure to like, share or comment below!